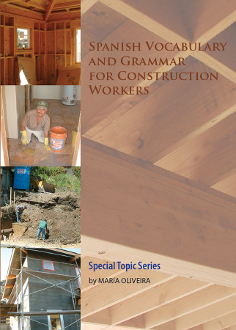 Conversational Spanish for Construction Workers is designed to improve communication at work sites that employ both Spanish-speaking employees and English-speakers. Whether asking for tools, arranging work hours, or clarifying instructions, students will learn phrases and increase vocabulary in a fun and accessible format. No shipping and handling fees. CDs not included. Upon completion of your order you'll be issued a link to access the files. You will have 3 days and 3 access attemps to download your program. After that the link will no longer work.